Keeping up with two different blogs ended up being more difficult than I realized. I hope to get back into this blog, because I really like it’s concept, and I do enjoy cooking. I’ve also been told that what I do in my “kitchen” is helpful for those planning kitchen renovations. So keep that in mind too. During the summer a lot of my food is not actually cooked, just mixed. I love fresh from the garden fruits & veggies, but this week I wanted to try something different. 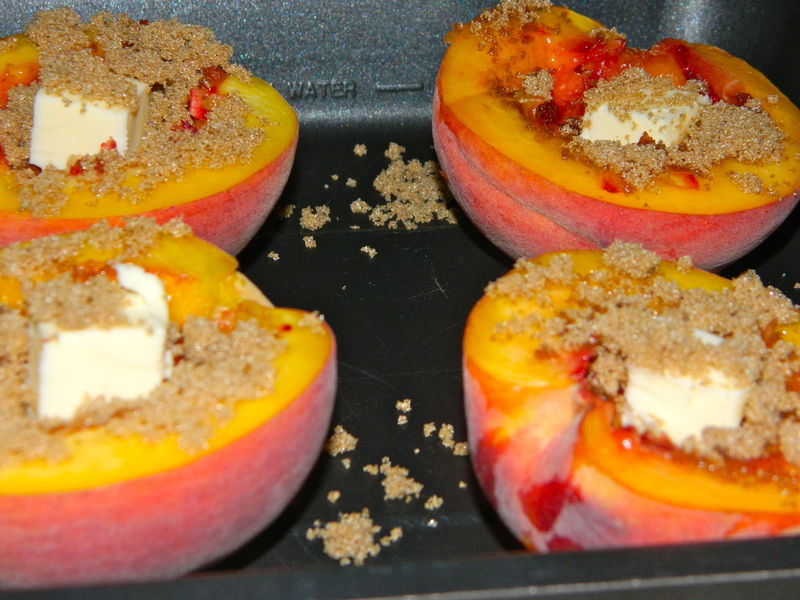 I found a recipe for Baked Peaches through Pinterest, and realized I’d be able to do it. I ate it with Greek Yogurt to make a dinner out of it. I drove down to the farm stand for some juicy peaches and off to work I went. I don’t think I had ever cut a peach before, at least not in half. I attempted it the same way I cut avocados, and it was perfect. 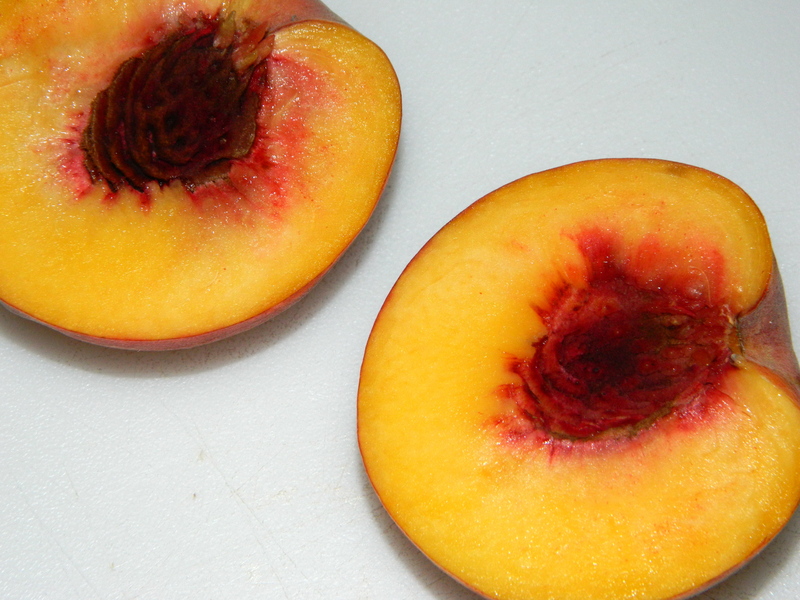 However, getting the seed out of the peach was more difficult. I used my fingernail for one and had to use the knife for the other. I then scooped out the remnants of the shell with a spoon. I measured the butter, but I think when I make this again, I will use a little less. It was good, I just didn’t think it needed that much. 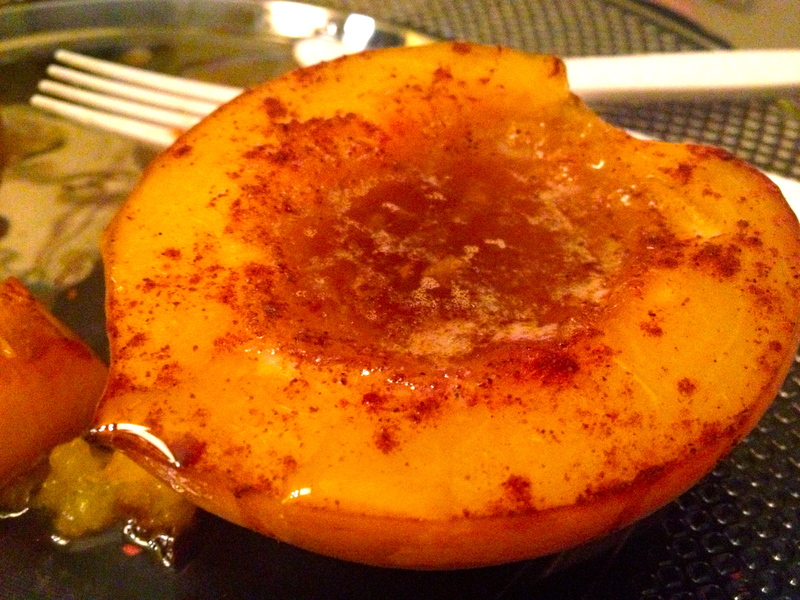 I did not measure the brown sugar or cinnamon, but stopped once each peach half was covered. When I took them out of the baker 35 minutes later, I could barely wait to cut in, let the butter drizzle over every piece and bite in. I had high expectations and they reached every single one. I will definitely be making this again. If you’re reading this and also have diabetes, I had large peaches so I figured they were ~20g each, then added 10g for the brown sugar.